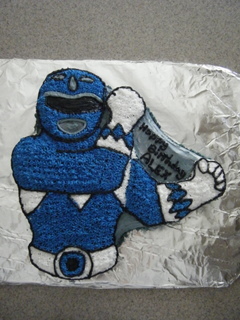 For this blue power ranger cake, I used a Wilton cake pan and decorating tips for this cake. It was pretty easy to use the star tip to follow the lines on the cake. I printed off a picture of the power ranger to copy for colors.